This is a metaphor for the workplace. The young people have, effectively, shifted the balance of power to themselves, and the older people squabble between each other, as if their power structures still matter. … but some of it I don’t. When Gen-Xers were this age, we were so overwhelmed with trying to earn a living that voting was the last thing on our minds. And when baby boomers were this age, they were protesting, and dodging the draft, and disrupting the establishment. So in a way, it’s remarkable how engaged, optimistic, and rule-abiding Millennials are during their twenties. But as a group, Gen Y is fundamentally conservative, so it’s not surprising that they come out and vote in droves. Voting is a way for people who color-within-the-lines to instigate change. Voting is a fundamentally conservative way to tell the establishment to get out of the way. Fair disclosure, I’m not an Obama supporter at this time, but I am on the borderline between Gen X and Gen Y (I turn 30 next month) so I think I have a decent perspective on both “camps” so to speak. Additionally, my own career history fits with the entrepreneurial spirit and DIY ethic that Penelope speaks to. But where Penelope sees young professionals today as fundamentally conservative, I beg to differ. It’s not that I disagree with her completely; more-so, I that I think she misses some of the ways in which this new generation of workers is one of the more disruptive we’ve ever seen. I agree that younger workers are not to-the-barracades, first-we-kill-all-the-lawyers revolutionaries. But they are very much change agents. They’re not radicals in the political sense where they want to break all the rules and then remake everything in their own image. But they do very much come to the workforce with their own ideas, their own way of doing things, and their own set of values and rules… and you ignore these at your peril. There have been several articles, mostly overblown I think, where the “adults” fret over the work habits and expectations of “these kids today.” Penelope herself has been quite astute in the past in pointing out how Gen Y workers have a different perspective on office and career politics. Just ask the record companies. Or any media company, really. Gen Y wants things how they want it, when they want it, and if you can’t deliver, you just seem outdated or addled. And the penchant for go-your-own-way career paths and fearless entrepreneurship that Penelope rightly detects is nothing if not disruptive. What is Web 2.0 (a movement very much Gen-Y led) but a methodical disruption of industry after industry? This is a good thing. A positive thing. Capitalism thrives on disruption. Creative destruction and all that. And because Generation Y has this disruptive gene in spades, that is something that I think should be recognized and applauded. It’s part of what makes this younger workforce so dynamic and inventive. Yes, it’s coloring in the lines, as Penelope says… not throwing the rule book out the window. But it is very much re-writing the rulebook to conform more to a networked, wired, multi-tasking worldview that is faster, more efficient and to me, more exciting. After all, Obama has done nothing if not paint himself as the change candidate. But change in a newer way… not throw out the old system change… but find a new way of doing things change, through consensus and changing the paradigm of politics as usual. 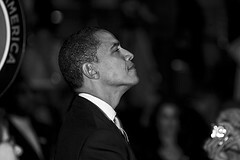 This is why Obama speaks to Gen Y, more so than other candidates. I would argue that far from being conservative, Generation Y is progressive… progressive in the sense of fin de siècle, Teddy Roosevelt-era progressives. Like the generation a century ago, this is a wealthy, dynamic, privileged generation, but with a strong sense of noblesse oblige and the feeling that there’s gotta be a better way to do things. Some of the old ways of doing things don’t work for them anymore, but they’re certain they can find a better way if they just put their minds to it. Fin de millénnaire, maybe. As an aside: I also agree with Penelope’s point about the gender divide being not as divisive in the corporate world as it once was… at least to the younger set. But I defer to others on this, due to lack of qualifications. Every generation seeks to change things that earlier generations established. So that in itself is not disruptive but actually predictable and ho-hum. The revolutionary thing would be to NOT seek change. And in this way, maybe the most startling thing about Generation Y is that they get along with their parents so well at a time in life when it is almost universal to rebel.